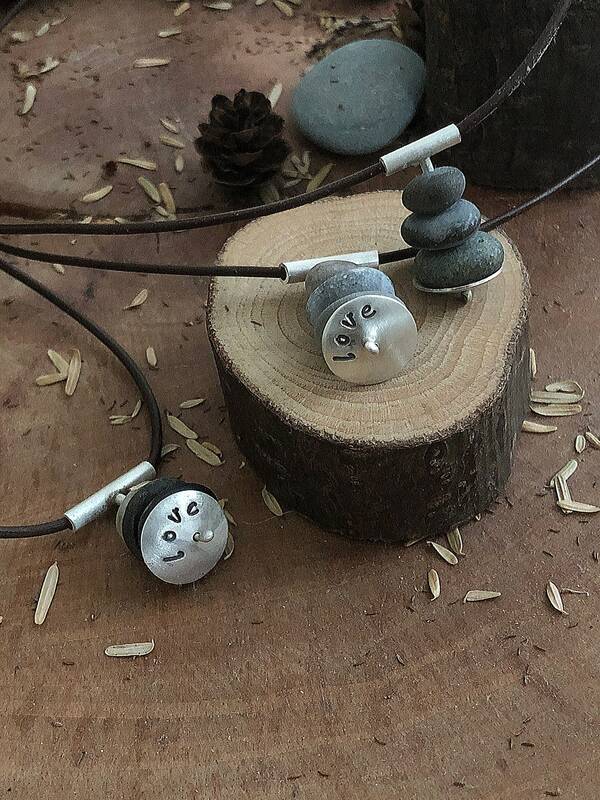 River and beach stones create a small cairn cradling inside a sterling silver disc, with a simple reminder and inspiration. Tubing compliments the organic design on an 18' leather cord with sterling clasp. 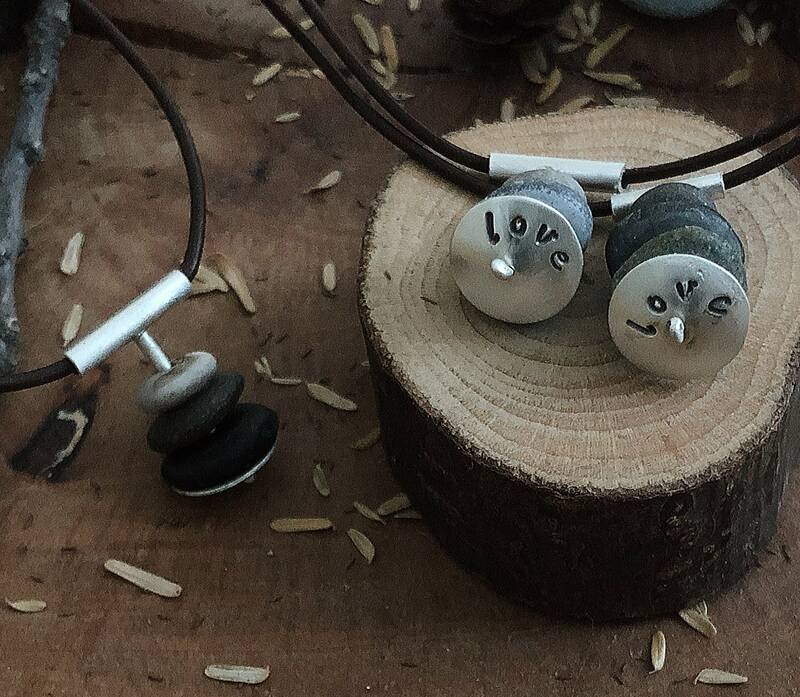 These pendants have the word "love" carefully hand stamped on the silver disc. Custom orders are welcome. Send me a message of a word that is meaningful or inspires you and we can create it.